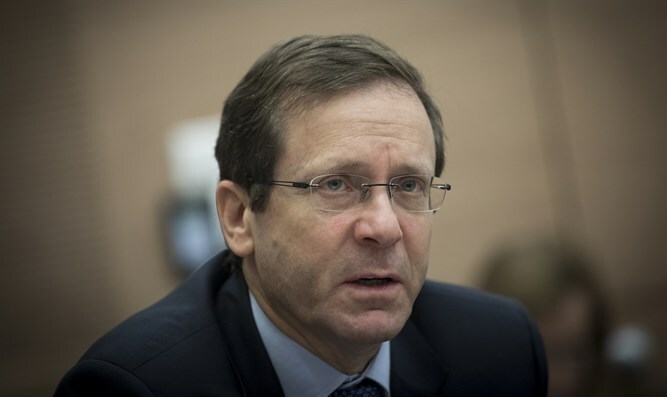 Opposition leader MK Yitzhak Herzog admitted to the Ichilov Hospital following mild stroke. He is in stable condition. Opposition leader MK Yitzhak Herzog, chairman of the Zionist Union party, was admitted on Friday evening to the Ichilov Hospital in Tel Aviv after feeling unwell due to a mild stroke. Herzog, 56, underwent several tests, and the hospital announced he would remain overnight for further treatment and supervision in the hospital’s neurology department. He is in stable condition, is communicating with those around him and his life is not in danger, said the hospital. “Tonight I felt unwell. I arrived at the Tel Aviv hospital, just in case. I underwent tests and feel better. Thanks for all the well wishes and to the medical staff. Shabbat Shalom,” Herzog tweeted on Friday evening. Herzog is considered to be a healthy man and does not suffer from any known health problems. Last year he was lightly injured in a car accident but did not require hospitalization.